This is a fine straight roast to produce that nutty, chocolate cup with great body and low acidity. Light, nutty aroma, medium to full body and low acidity. Soft-bodied with an earthy flavor and subtle walnut notes. 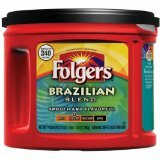 Brazilian Coffee that is Medium bodied coffee with high acidity. 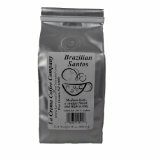 Brasil Santos A sweet tasting coffee with low acidity, Velvety and striking aroma with a delicate hint of chocolate. Named after the mountain in the Santos region, this Brazilian coffee is grown at an altitude of 700 meters in dry sandy soil to produce a fine full-bodied brew with good acidity and a noticeable sweet, chocolate-like finish. 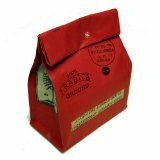 Daterra Sweet Yellow Medium roast coffee, lots of caramel and almond. 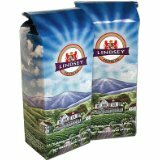 This Rainforest Certified coffee is grown on Daterra Farms in the Cerrado Region. 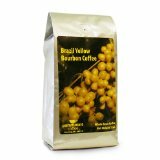 Named Sweet Yellow because the fruit of this coffee is a yellow cherry. Unusually heavy body with great mouth feel. 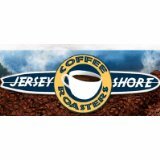 Medium-Light Roast, Medium Body, low acidity with a sweet nutty flavor. Monte Carmelo is located in the southeastern part of the country. Daterra Peaberry is a unique small round bean filled with intense sweet aromatics, Distinctive nuttiness with a hint of soft fruit; soft but distinctive. Its distinctive fresh-nutty brews a crisp but robust with a clean bright finish. 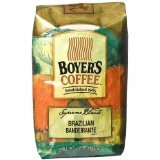 Brazilian coffee that is medium body, high acidity. Snappy and delicious. Foil package. Tropical nut flavor. Smooth and delicious. Foil package. 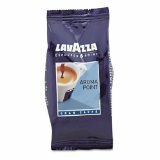 Lavazza 0427 Espresso Point Cartridges, Aroma Point Arabica-Robusta, .25oz., 100 Per Box. Packaged in convenient, pre-measured cartridges for use exclusively with the Lavazza Point Machine. Point system makes brewing gourmet espresso and tea fast and easy process. To use, place a cartridge in the machine, close the door, and press button to brew. 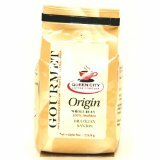 Discover a Sweet, bright, citric acidity, berry, clean fruits, creamy body, and very balanced taste. This coffee is produced by the Carvalho Dias and Ottoni families, who have repeatedly won the Cup of Excellence status in Brazil. 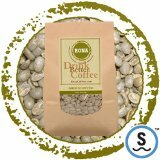 This natural coffee has a wonderful smooth and round body, sweet acidity, and a clean aftertaste. A Region of Mogiana with Natural processing. Our Cerrado is a natural process screen 17/18. 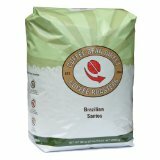 This specialty grade raw (green) coffee is perfect for the home roaster. 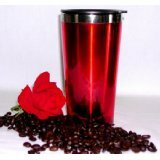 This coffee cups with a nice aroma, big body, low acidity soft finish. 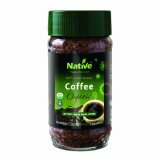 Non GMO, Gluten Free, Sustainable Organic Production, 100% Arabica Coffee. Grown and Processed with No Chemicals, Roasted Whole or Ground Beans & Freeze Dried. Medium body with mild acidity and a pleasant fragrance. Made with 100% Arabica beans. 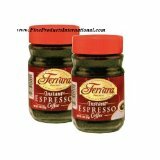 Named after the port that coffee is processed through, this wonderful coffee is known for its mild smooth flavor, rich medium body, complex intense aroma with a hint of dry spiceness and sweetness. Sara Lee Cafe Coffee. 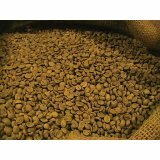 Full bodied, it is medium roasted and finely ground. 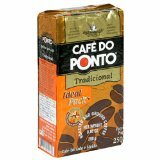 Café do Ponto is blended with the best coffee varieties harvested in famous and traditional estates in the south. 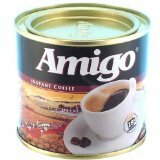 Original qualities of Café do Ponto are maintained due to its "easy open and close" vacuum pack. 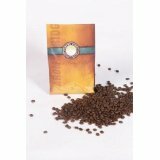 Full taste coffee roasted and ground in country of origin. Light sweet touch roasted and ground in country of origin. Santos is noted for its mild acidity, along with a wonderfully balanced body and taste. Not overwhelming, yet not lacking substance. 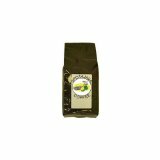 Nut Crunch Coffee, 1 lb. Macadamia, Butter nut and don't forget the crunch! Your SpotaJava Coffee is roasted, then shipped in a one-way valve "freshness keeper" bag. 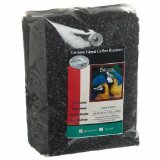 Whole Bean, 12 oz, Certified Organic, Certified Shade Grown, Socially Responsible, and Medium roasted with a rich body. The rich, dark red soil that produces an excellent cup of coffee. 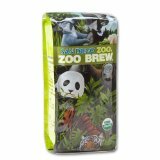 This delicious organic coffee is roasted to perfection and made from 100% organic, shade-grown, and socially responsible coffee beans.